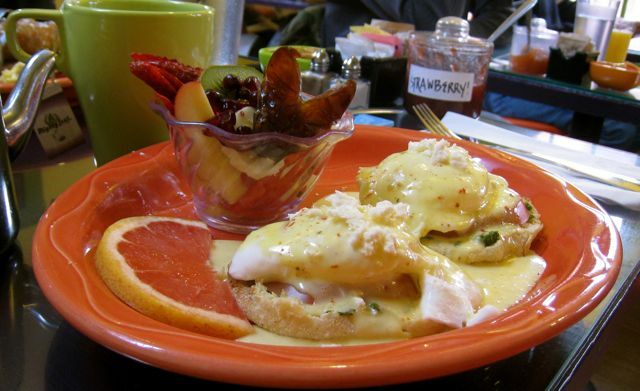 As you know I am always on the lookout for a good Eggs Benedict, so I search every menu and do my research before I even try a place. I ordered the Farmers Benedict. It had housemade pesto on it. Very similar to the one at Porcelli’s that I just love. It was a good Eggs Benedict, good enough to have again, but I wouldn’t and let me tell you why. The food choices at this place are unbelievable. 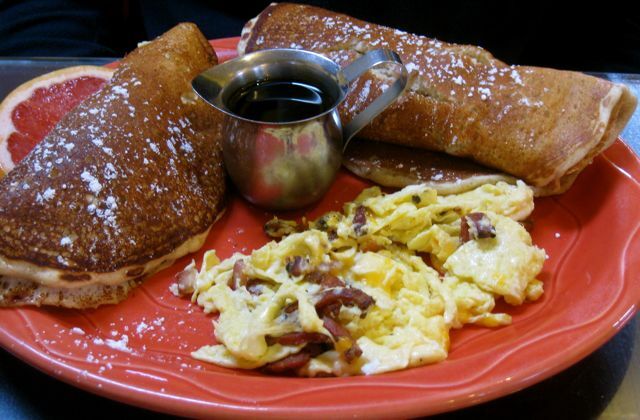 Bacon tacos, more scambles than you know what to do with, pancakes and french toast. My husband got the Chicken in a Blanket. That is way out of his comfort zone, but he saw someone else eating one and had to have it. I had a bite and it was good. The pancakes were tasty and I just love chicken apple sausage. We loved this place, and even though it’s way out of the way for us, we hope to return some day. 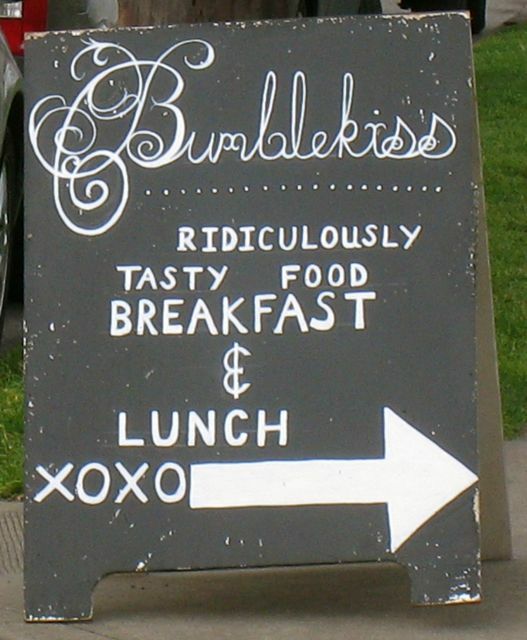 Bumblekiss is definitely a favorite. The atmosphere was….eclectic, but cute. Crowded, but cozy, and it all just made you feel like you discovered a special place. It’s these small places that do it right. You know everything is fresh and made just for you. That’s my kind of place. Pricing was very good and portions were good. Sounds wonderful! Looks so good. This was such a good find. The shopping around is very fun too.